This post has been sponsored by Wovenly. All opinions & comments are 100% mine, I only promote products I believe in. 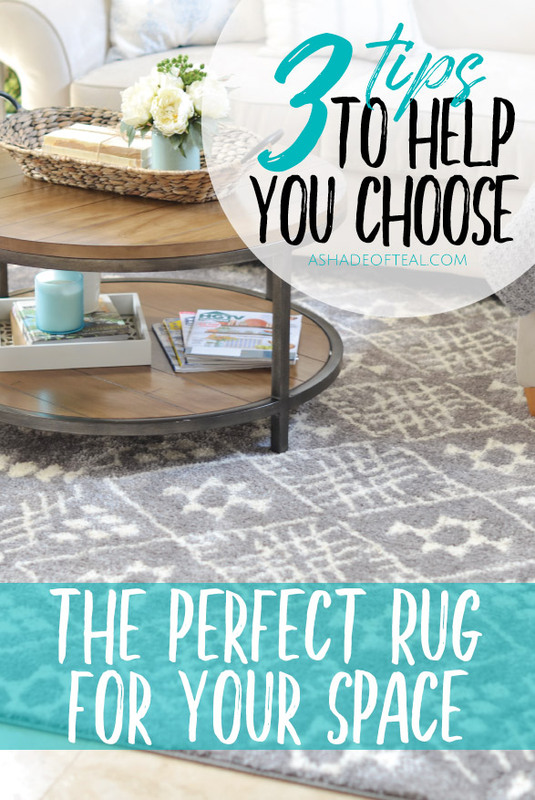 3 Tips to help you choose the perfect rug for your space! Picking the correct rug size for a space is a key part. A good rule of thumb to always stick by, is for the rug to extend past the furniture you plan to place around/on it. For example, if you’re placing a rug under a bed you want to make sure you have about 2 feet extra on each size. Or, if you’re looking for a living room rug, you’ll want to make sure the front of the furniture (like the couch) can sit on the rug. It’s okay to have your end tables not fully be able to sit on the rug, but as long as the bulk of your furniture fits within the rug, you’re good! The rug texture is everything to me. I know right away if it’s a quality rug by the texture and feel. When choosing a rug think about what you need it for. If it’s going to be used in an area where you plan on sitting on it like a play room then a shag rug is perfect. Think cozy and soft! If you need a rug for under a table, then you might want to get a durable and low profile rug which can be easier to clean. With whatever option you choose you might run into the issue of price. Most assume higher quality means a higher price. Well, my tip to beat this is with Wovenly rugs! At Wovenly you’ll be able to get high quality within budget! 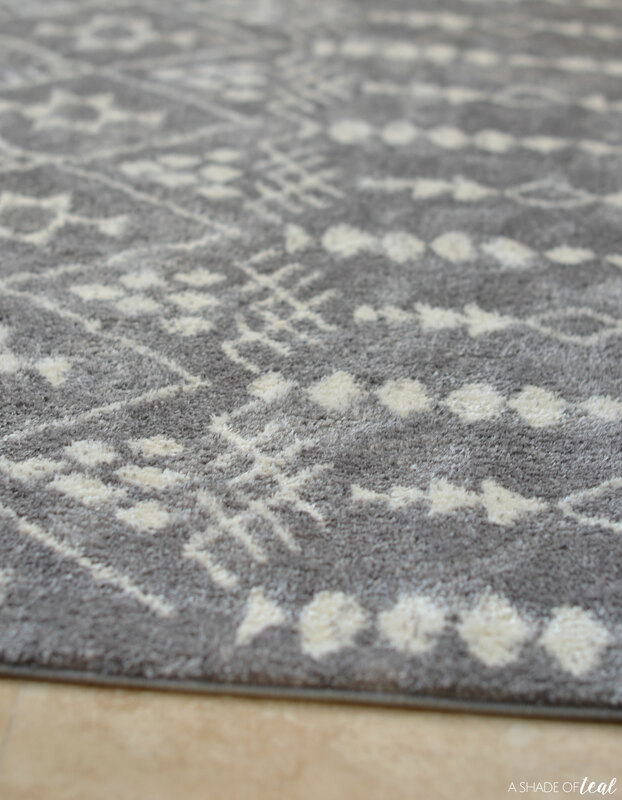 Wovenly has curated a great assortment with some of the best high quality rugs, at amazing prices. Only the finest materials are used and they’re built to last. Plus, they offer you a 60 day, risk-free trial with free shipping and returns. My 3rd and final tip is to choose carefully when it comes to the pattern and color. You’ll want to think about the overall color scheme your trying to achieve. Both color and pattern go hand in hand. For example, if you want a neutral, clean, and simple look then make sure to keep the rug neutral and more muted. With all my rugs I find myself sticking with options that have 2 neutral colors. My reason is I have more options later on to change my color scheme. If the rug is grey and white, I can always change up my pop colors. 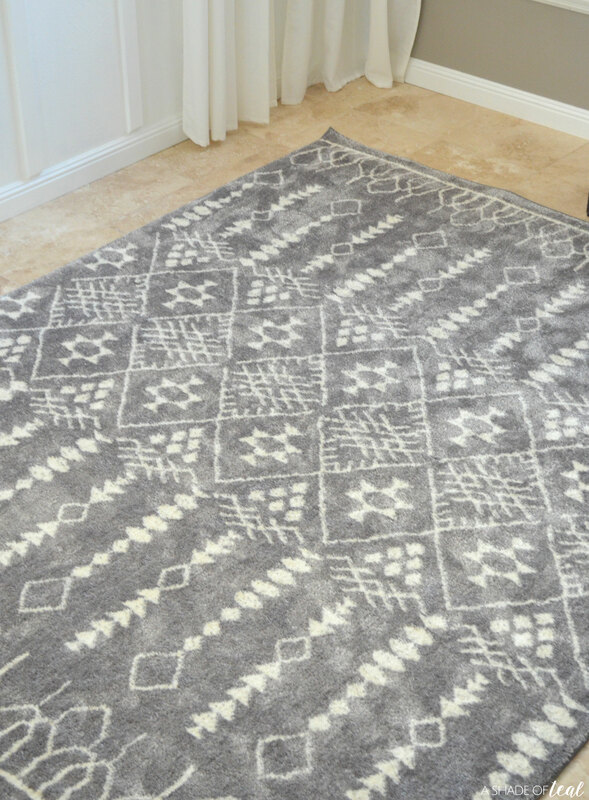 My most recent update is this Wovenly “Citadel” shag Geometric Area Rug. The color mixes well with my existing decor, and the pattern is muted enough that it doesn’t take over the room. If you’re looking to make your rug the statement piece, then a bold and bright rug is perfect. Either way, always make sure your rug will sit well with your furniture color. 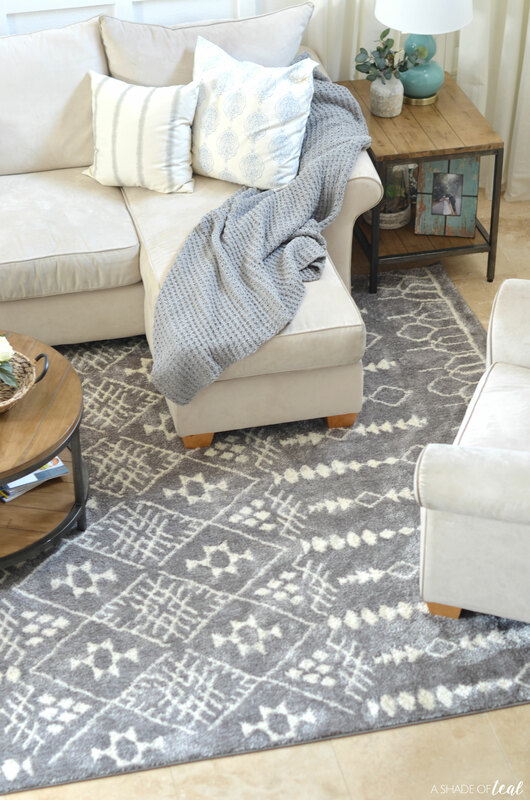 So, if you’re having a hard time selecting a new rug, then make sure to stick to these 3 Tips to help you choose the perfect rug for your space! 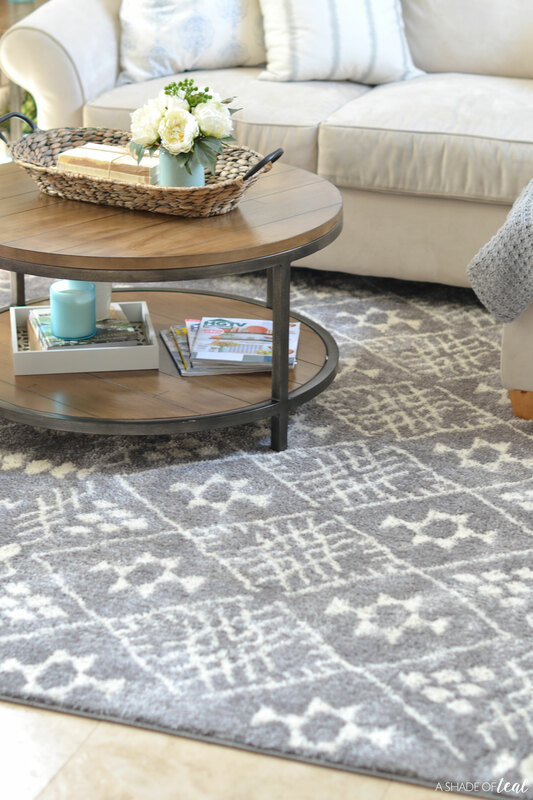 You’ll also want to visit Wovenly here and go check out their amazing assortment of rug’s that I’m sure you’ll be able to find one that fits your home, and most importantly, your lifestyle!